Kevin Wu: I’m currently a student at UCSD studying biology. I’ll be working on working on creating a fast and scalable gene list storage and enrichment calculation system. I currently keep a blog at blog.kevinformatics.com and will be publishing entries there about GSoC. Shivansh Srivastava: I am a 3rd year Undergraduate from BITS Pilani- Goa Campus. I would be working on Idea – 7 – BioGPS:JQuery-based BioGPS gene-report layout canvas – over the summer. Looking forward to work with CrowdSourcing Biology. 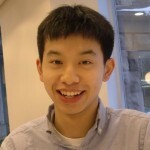 Clarence Leung: I’m a joint Computer Science and Biology student at McGill University, where I also work at the McGill Centre for Bioinformatics. There, I’ve helped develop a biological game called Phylo: A Human Computing Framework for Comparative Genomics, which crowdsources players into helping to improve DNA sequence alignments for different animal species. This summer, I’ll be working on another biological game with the Su Lab called Dizeez, which helps to link gene names to diseases. I’ll be adding a multiplayer aspect to this game, which will make the game more exciting, and help us gather even more links between different genes and diseases. Since this is Google Summer of Code, after all, I think I’ll just use my Google+ stream as my blog. Karthik Gangavarapu: I’m an undergraduate student at BITS Pilani, India. I am working on Idea #2 – Data Visualization interface. Its really exciting to be working with Crowdsourcing Biology. We’re excited to have these five students join us this summer. For others who would like to keep track of their progress and participate in discussions, check out our Google Group on Crowdsourcing Biology.